If you are wondering where to buy peppermint products like extracts, essential oils, teas and leaves I would like to recommended Starwest Botanicals. They are my favorite place to buy herbs and they never let me down. Before we get into products and pricing, let’s look at what peppermint can do for you. This herb has a long history and the Ancient Egyptians, Greeks and Romans made great use of it. You should replace coffee with peppermint tea. It acts as a stimulant but there’s no crash later in the day. Coffee weakens your nerves and heart muscles while peppermint strengthens both. It’s an excellent remedy for chills, colic, fevers, dizziness, flatulence, nausea, vomiting, diarrhea and heart problems. You can use it as aspirin too. Anti aging properties – Peppermint is high in antioxidants making it effective against aging. Backache – Menthol, a chemical in peppermint, relives muscle tightness and is a common ingredient in over the counter backache medications. Bad Breath – Mints are obviously great for your breath. Coughs – Several studies show peppermint is both a decongestant and cough suppressant. Menthol is found in Hall’s, Luden’s, Ricola, Robitussin and Vick’s Cough Drops. Digestive issues/indigestion – There’s a reason why restaurants offer after dinner mints, they help your food digest. Commission E, the German FDA (more respected than the FDA when it comes to herbs) approves peppermint for indigestion and abnormal distress. Earache – Since peppermint contains menthol and is an antispetic, the tea can be helpful here. Emphysema – Peppermint has 9 expectorant compounds and menthol is known to thin mucous. 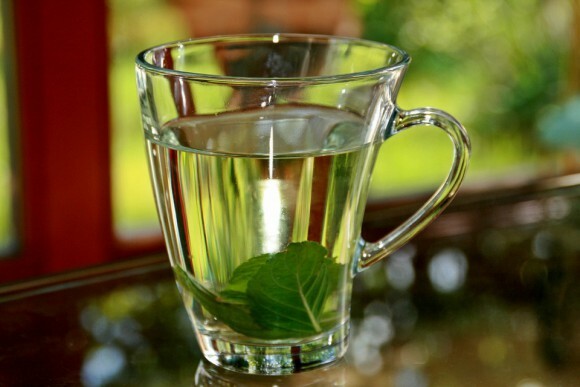 Fever – Peppermint is well known to help with fevers and can be added to other cold fighting teas. Gingivitis – Peppermint contains compounds that fight the bacteria that causes tooth decay and gum problems. Headache – Two German tests prove peppermint is extremely useful in tension headaches when rubbed on your forehead. Heartburn – Dr. Andrew Weil, author of Natural Health, Natural Medicine strongly recommends peppermint for this issue. The Ancient Egyptians used peppermint extensively for this purpose. 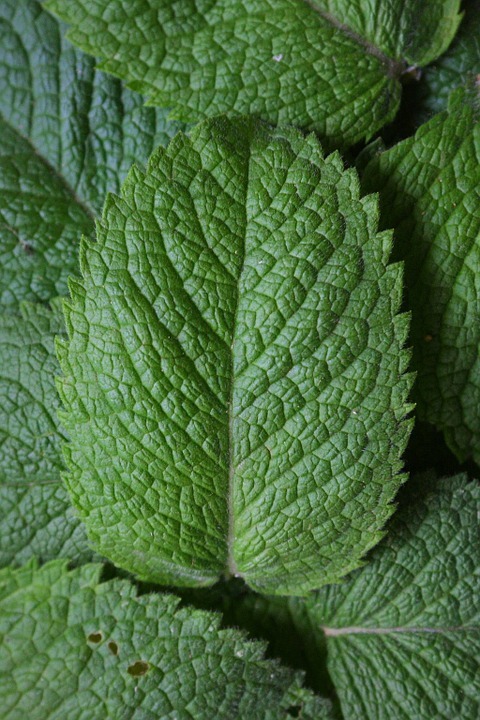 Hives – Menthol has anti itching action and makes peppermint useful as a tea or wash for this problem. Infections – Menthol has antibacterial action and has shown to kill several types of bacteria. It’s also useful against the herpes simplex virus. This makes it great with infections and bronchitis. Irritable Bowel Syndrome/constipation – 5 different British tests showed enteric-coated peppermint oil capsules benefit a person with ibs. Menstruation – Peppermint is an antipasmodic which means it relaxes the uterus and the Toxicology of Botanicals Medicines believes this can promote menstruation. Morning sickness – Menthol is known to relieve stomach distress making peppermint helpful here. Nausea – Peppermint is a powerful antipasmodic meaning it stops muscle spasms in the digestive tract, including those involved in vomiting. Pain – Peppermint contains menthol which has tremendous antiseptic power. It’s an ingredient in many over the counter pain relieving creams. It’s also endorsed by Commission E for muscle aches. Sinusitis – Rubbing diluted peppermint essential oil to your forehead and temples relieve sinusitis. As you can see you will get a lot of use of out of peppermint. 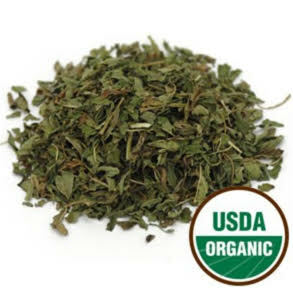 They are one of the best and well known suppliers of herbs in America. They started over 45 years ago in California as a small retailer. They quickly gained recognition for their superior quality and fair pricing. Because of this they were able to grow to what they are today. Currently they have a modern 150,000 square foot warehouse where they store millions of pounds of herbs at all times. Everything comes with a 100% satisfaction guarantee; this is how you know they have above average products. If you get mediocre herbs you can expect mediocre results. This is never the case with Starwest. Plus they offer a wide variety of peppermint and different amounts to fit exactly what you’re looking for. So let’s get into products. Price: $8.50 for 4 ounces and $109.33 for a gallon. This is a great extract. If you who use peppermint sparingly you have the option of four ounces. If you are someone that uses it all the time you may want to consider the gallon, it’s the cheapest option per ounce. Extracts are a really convenient way to get this herb’s health benefits. All you need to do is add between 10 to 20 drops in some water or juice and enjoy. USDA Certified Organic Price: $6.92 for 1/3 ounce, $41.33 for 4 ounces, and $125.58 for 16 ounces. Aromatherapy is one of the most pleasant ways to take medicine. You can use the oil in a diffuser, lotions and even take a bath in it. As you can see there are many different options here. 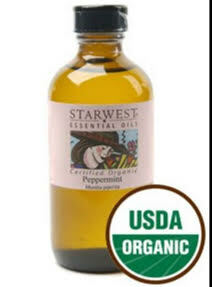 USDA Certified Organic means the peppermint in these oils is grown in the most ideal manner possible. The non organic is still a great product. Some herbs taste bad. Peppermint isn’t one of these. This tea is very tasty and is something you can enjoy everyday to great benefit. 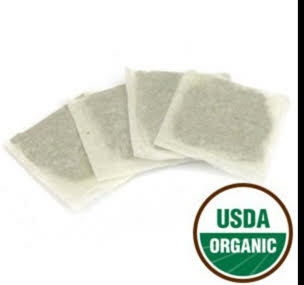 These tea products are certified organic and make enjoying the tea very easy. All you need to do is pour a cup of boiling water over the tea bag and steep for 3 to 5 minutes. Purchasing the leaves gives you the most options. You can make a tea with them, add them to a bath or even just chew on them. There’s a organic and non organic option, as well as multiple options on amount. The powder is another wonderful option. All you need to do is add the powder to some water and enjoy. To treat wounds, burns, scalds and herpes sores add a few drops to the affected area. For a decongestant, cough suppressant, and digestive infusion use 1 to 2 teaspoons of dried peppermint per cup of boiling water, steep for 10 minutes, and strain. Drink up to 3 cups a day. Take 10 to 20 drops as an extract up to 3 times a day. For an herbal bath, fill a cloth bag with a handful of dried or fresh peppermint and let the water run over it. Or you can add a few drops of the oil. There really aren’t any safety concerns with dried peppermint. However, you should never digest pure menthol, as little as a teaspoon can be fatal. Don’t ingest peppermint oil either, it can be toxic. Are You Ready For Some Peppermint? Peppermint is a herb you should have on hand at all times, just look at all the benefits it has. There’s so many options available, you can enjoy it anyway you please. 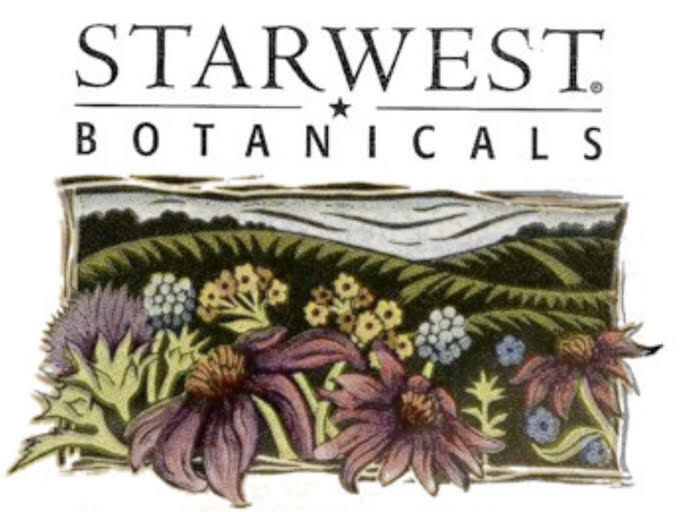 If you are serious about herbs and want the best available, you should consider Starwest Botanicals; this is my go to place. 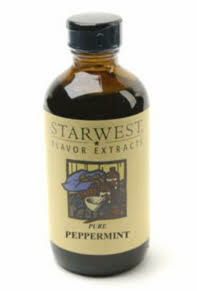 If you want to browse the entire peppermint selection at Starwest click below. I hope you enjoyed this post. If you have any questions comment below and I’ll make sure to get back to you as fast as possible. Also, share on social media for friends and family to see. Make sure to like us on Facebook too.